Ghana U-20 midfielder Kudus Mohammed says the team is disappointed to have bowed out of the Africa Youth Championship at the group stages. 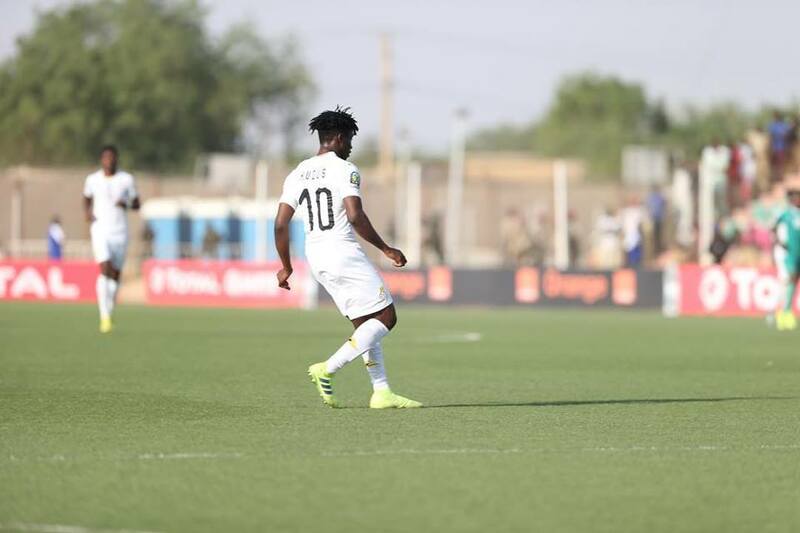 The Black Satellites were eliminated from the competition in Niger after losing their final group game 1-0 to Mali. The defeat means Ghana failed to qualify for the FIFA U-20 World Cup in Poland later this year. Kudus Mohammed believes despite the shortfall, there is a lot to offer from the set of players in future. “It’s unfortunate our narrative in the history of Ghana Football ended in this manner,” he posted on Facebook. “Performances from me personally and the team as a whole as we let our motherland and ourselves down is poor. Our approach, character & winning mentality was tested but we Failed,” he added. “Even with the hidden challenges no excuse is acceptable. Massive thanks to all Ghanaians and #KudusPride for your support and prayers. “Special mention to our critics for highlighting our failures to better inspire us and make us better athletes. Black Satellites 2018/19 with so much potential & talents, our story ends here but we have to own up and develop for our future and dreams. The 18-year old former Right to Dream Academy graduate will return to Denmark to join his Norsjaelland side in the coming days.